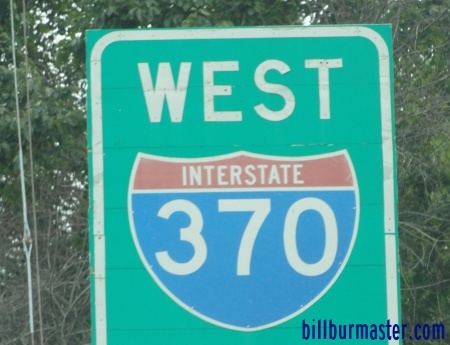 Interstate 370 runs east-west in Montgomery County. 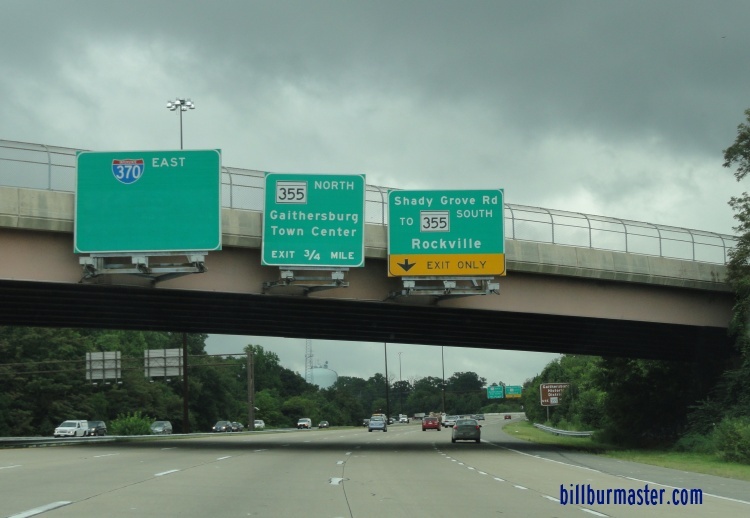 It goes from Interstate 270, near Gaithersburg, to Maryland State Route 200, near Rockville. 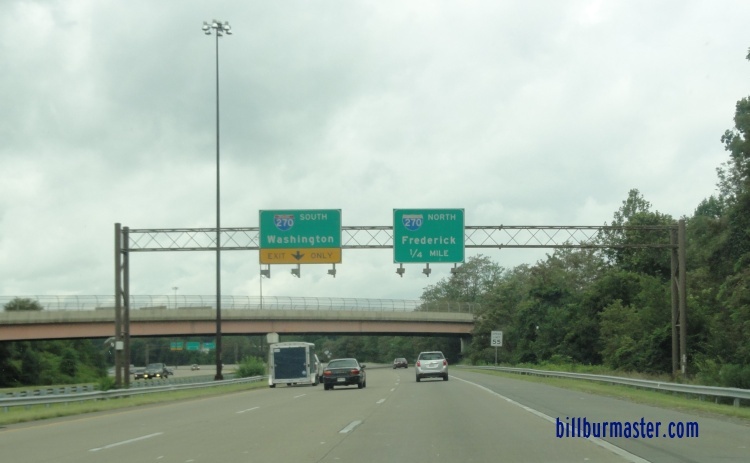 While in Maryland, I-370 is not multi-plexed. 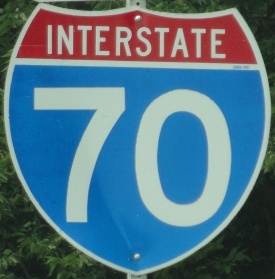 In Maryland, Interstate 370 crosses the following interstates. WB I-370 a half mile from I-270. 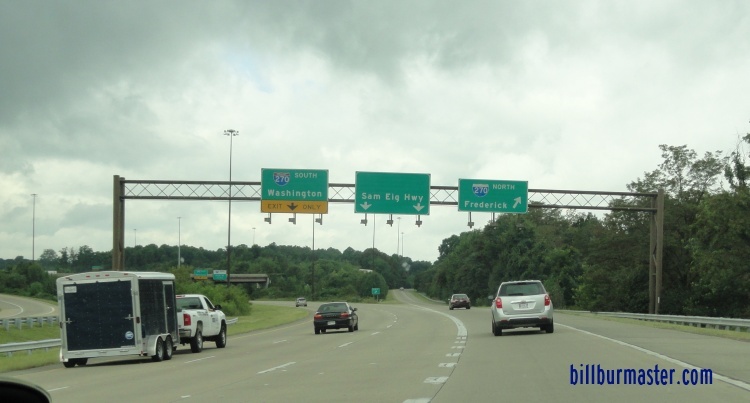 Info on the parent of I-370 in Maryland. 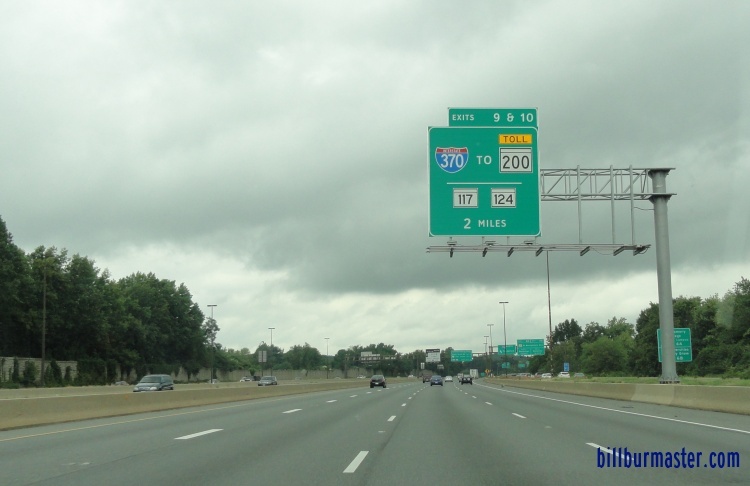 A BGS on NB I-270. EB I-370 east of I-270. 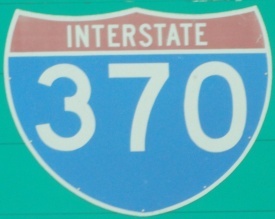 A guide marker on MD St Rt 355.